The world economy is in tatters. The American sub-prime catastrophe brought down the banks. Lack of liquidity bankrupted two of the American Big 3 car makers. With that background, you will be expecting that the luxury car market also plummeted during 2010. Think again. 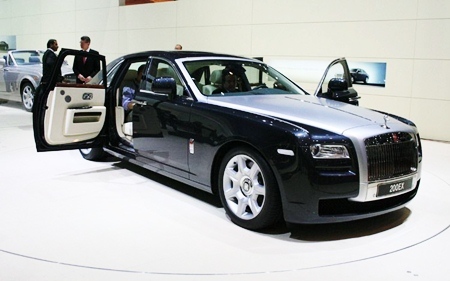 One of the world’s ultimate luxury brands, Rolls-Royce just returned its highest sales figures for the past seven years. It sold 2711 cars in 2010, up 171 percent over the previous year, with most of that number going to the US. However, the best selling region was the Asia-Pacific with strong sales gains in China, Japan and South Korea. China actually ranked as the company’s second-largest market, followed by Britain, the United Arab Emirates and Japan. So much for the Chinese going to work on bicycles! Figures released last week by the Society of Motor Manufacturers and Traders showed that other luxury brands registered strong sales in the United Kingdom. Bentley, owned by Volkswagen, sold 993 cars in the UK, up 30 percent from a year earlier. Porsche sold 28.5 percent more cars for the year, to a total of 6,784, and Lotus sales were up 19 percent to 577. With Proton, owner of Lotus these days, claiming that they will be challenging Porsche and the like, I’m afraid they still have a long way to go to catch up to the German manufacturer. Most of these cars come in via the ‘grey’ market to Thailand, with around 3,000 imports a year, but only eight percent of these are of the luxury group. Next articleWill the Passat make Americans love VW again?